How Healthy Are America's Coasts? EPA's Environmental Assessment Provides Wellness Check-up The overall condition of the nation's coastal waters has improved slightly, based on a recently released environmental assessment. The National Coastal Condition Report III (NCCRIII) is the third in a series of environmental assessments of U.S. coastal and Great Lakes waters. 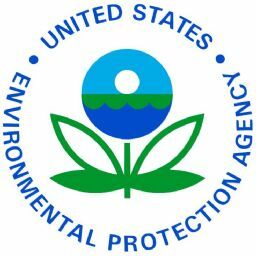 "EPA is committed to monitoring and improving America's coasts and estuaries through all available tools and partnerships," said EPA Assistant Administrator for Water Benjamin H. Grumbles. "This comprehensive report card helps increase awareness and focus actions on current and emerging challenges." The report, a collaboration of the U.S. Environmental Protection Agency (EPA); the National Oceanic and Atmospheric Administration (NOAA); the U.S. Geological Survey (USGS); the U.S. Fish and Wildlife Service; coastal states; and the National Estuary Program, assessed America's coastal conditions using five indicators of condition: water quality, sediment quality, benthic community condition (the health of the water's bottom-dwelling invertebrate species), coastal habitat loss as indicated by changes in wetland area, and fish tissue contaminants. The overall condition of America's coasts is rated as 'fair', based on these five indicators. Comparison of the condition scores shows that overall condition in U.S. coastal waters has improved slightly since the 1990s. The next National Coastal Condition Report is expected to be released in 2011 and will provide an assessment of the status of U.S. coastal waters from 2003 to 2006, along with trends in condition since the 1990s. To read The National Coastal Condition Report III (NCCRIII) and learn more about the indicators and criteria used in the Report, please see: www.epa.gov/owow/oceans/nccr/.